Check out those prices!! 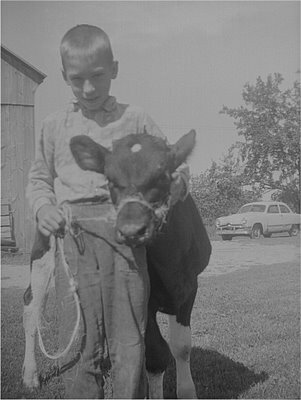 The photo is from 1968. Does anyome know where this photograph may have been taken? It dates from the 1940's. 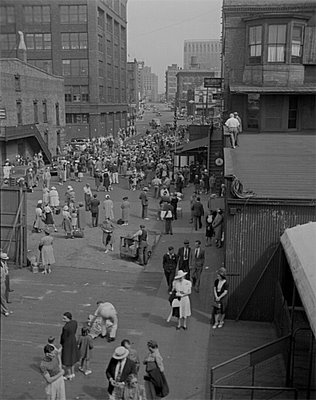 MikeM, a noted Detroit historian, identified the building on the right as the Lake Carrier's Association office in Detroit, Michigan. The building was located at the foot of 1st Avenue. The view of the photo is looking north up 1st Avenue, probably from the deck of a passenger liner at the D&C docks. The tall building in the background is the headquarters of the Michigan Bell Telephone Co, which was on Cass Avenue, but the backside would be on the east side of 1st Avenue. Congratulations and good luck to all the current graduates out there! If anyone knows where this photo was taken, please let me know. The car is a Mercury Comet and the photo is from 1961. 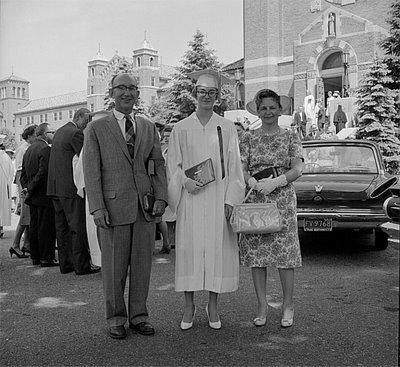 Thanks to MikeM for identifying the location as Madonna University, which is located in Livonia, Michigan. To see a color photo of the chapel please click here. "As It Is Today!" is a reoccurring feature that not only depicts a vintage negative where the subject has been identified but also includes a picture of how the subject appears today. Today's "As It Is Today!" 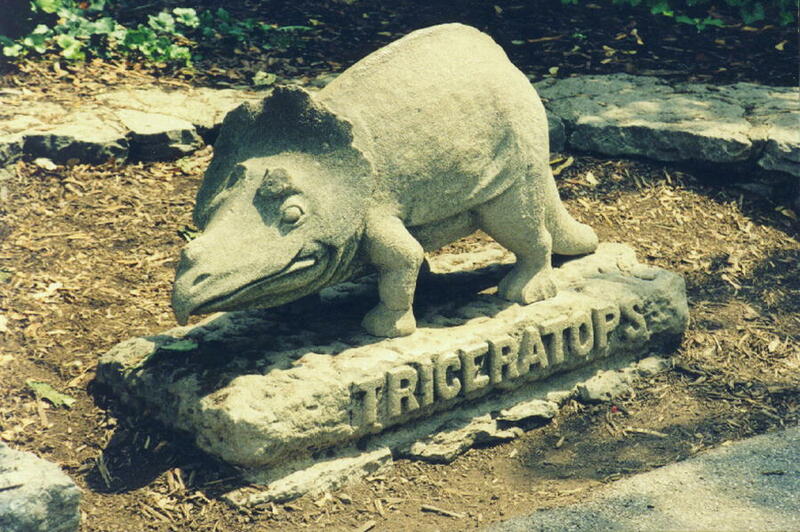 is the Toledo Zoo's Triceratops statue. The statue is part of the zoo's reptile house. 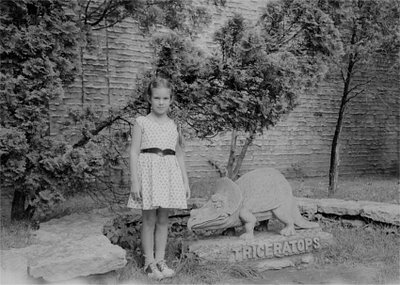 The reptile house was built by WPA workers in 1934. The Triceratops statue as well as other statues throughout the zoo were designed by Arthur Cox. Here is how the statue looked in approximately 1945. Thanks to Anonymous for identifying and providing information about the Triceratops statue! Flags fly from the "Longest Porch In The World." 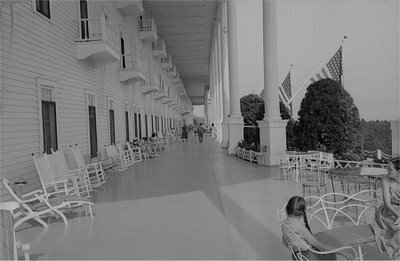 The porch is part of the Grand Hotel which is located on Mackinac Island.